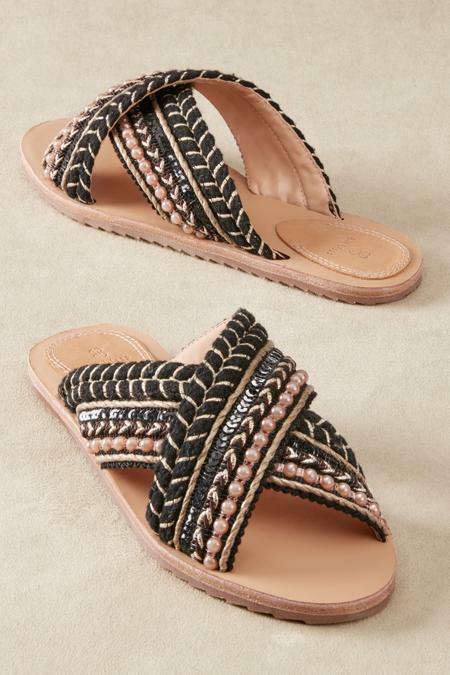 Textural crisscrossing straps embellished with gold roping and faux pearls take these knockout sandals from Blassport to the next level. Fashioned from fine Nappa leather with a cushy rubber sole, these day-to-night slides unite looking good with feeling good. Under 1" heel.